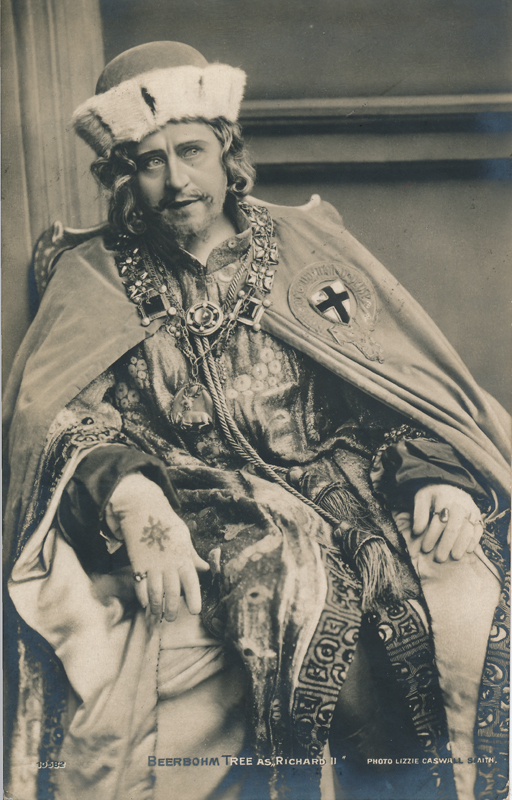 Shakespeare & the Players is an online exhibition and scholarly resource of nearly 1,000 postcards featuring many famous English and American actors who performed Shakespeare’s plays for late Victorian and Edwardian audiences. 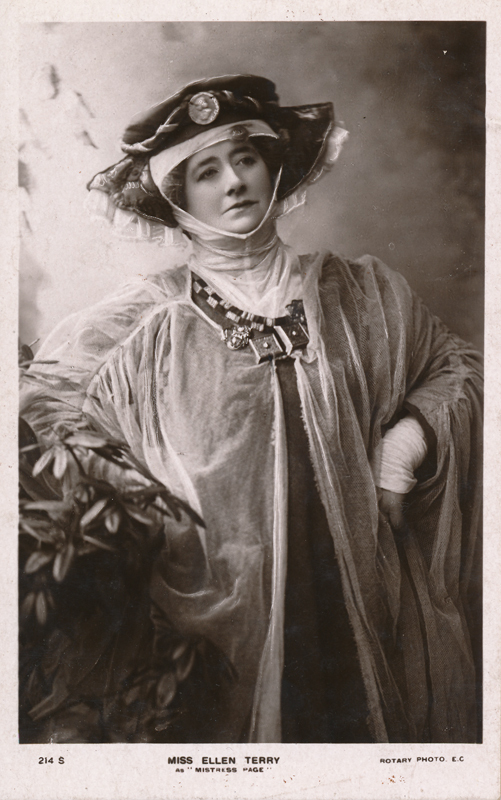 The postcards date from around 1880 to 1914, encapsulating an important era in not just postcard history, but Shakespeare history and world history as well. 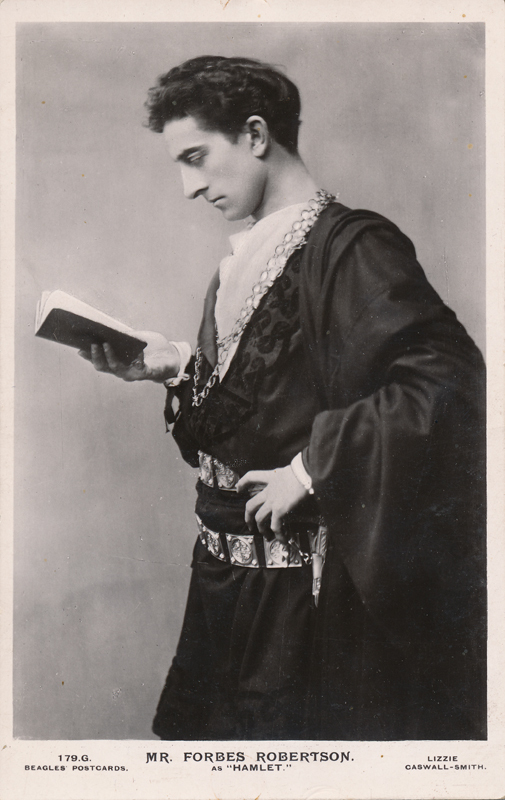 The site showcases postcards featuring the dominating actors of the time in roles from some of the more popular and oft-performed plays, like Hamlet and Romeo & Juliet, as well as those from plays not often performed, like Cymbeline and The Merry Wives of Windsor. The launch of this project coincided with the celebrations of the 400th anniversary of William Shakespeare’s death in 2016. The new site builds on the original work of Dr. Harry Rusche (Professor Emeritus of English, Emory) and uses dynamic portfolios and galleries to emphasize bold and beautiful images of the fronts and backs of the postcards. Re-imagined by Justin Shaw (PhD Student, Dept of English, Emory) with maximum accessibility and modern users in mind, the site employs a mobile-friendly responsive layout. The experience of the new site engages a multitude of reading and browsing styles and borrows its categorization system from the 1623 First Folio, the premier collection of Shakespeare’s most famous plays. As a result of the redesign, the site now adds a selection of historical audio and video clips featuring a number of the actors who appear in the collection. The site also now intentionally weaves ideas for teaching and scholarship throughout the site. Historians, literary critics, actors, Shakespeare lovers and newcomers alike will find something of interest in Shakespeare & the Players. If you’d like to contribute to the site or help improve our collections, please contact us. Also, enjoy this introductory video featuring Dr. Rusche and current project manager, Justin Shaw, as they discuss the postcard collection and the aims of the project over the years. To follow along with the video transcript, click here. The Digital Project Manager is Justin Shaw, a PhD student in English at Emory University, who has been in charge of redesigning and expanding the site and collection. Dr. Harry Rusche, Professor Emeritus of English at Emory is the owner of the postcard collection and founder of Shakespeare & the Players. Dr. Erin Hecht, our Digital Scholarship Consultant, has been responsible for much of the coding, editing, and layout of the site. Our most recent addition to the team is Kayla Shipp Kamibayashi, a PhD Student in English and our Digital Projects Assistant. We thank Dr. Allen Tullos, Wayne H. Morse, Jr, and Chase Lovellette for unending support and for directing an amazing team at the Center for Digital Scholarship. Also, we would like to thank the Departments of English, Film and Media Studies, and Art History for their continued support and interest. Holly Crenshaw, Julie Braun, Elaine Justice, and Priyanka Sinha for excellent publicity work. We thank the many others who have aided at various points of this project, including: Eleanor Dickson and Dr. Alan Pike at the early stages of the digitizing and platform selection process, Anandi Salinas in video and image editing, Marlo Starr for copy-editing the many texts, and the team of Amy Li and Madison Elkins for many alt-text image descriptions of the postcards. We also thank Dr. Sheila Cavanagh, the Michael C. Carlos Museum, and Arts at Emory for allowing us to be a part of the Year of Shakespeare celebrations at Emory. Many thanks to Lee Clontz and Marianne Schneider, who were responsible for designing the logo, taken from the original site, and Saundra Barrett for graphic design genius. Finally, we thank Kathy Dixson, Gretchen Warner, and John Klingler for helping to curate a magnificent exhibit. ScholarBlogs, through the Center for Digital Scholarship at Emory University, is the host and home of Shakespeare & the Players. Check out our exhibit on the third floor of the Robert W. Woodruff Library at Emory, April 2016-May 2017.